We who had to stay at home hear that Molly broke more equipment than records this time, although she is alleged to have attempted to go into orbit, returning to water level unscathed without recourse to heatshields or parachutes. A good time was clearly had by all, aided by seemingly mostly good weather, with a wind spectrum varying from strong to nil. Anyone want to write a more factual and intelligent report? - Somebody - Please! turned out an untypically tranquil trip. Wind speeds were significantly below forecast. 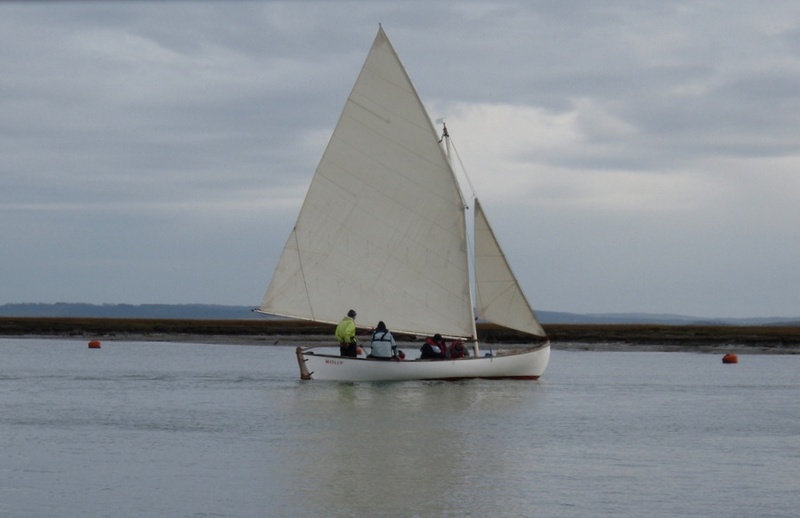 A very gentle breeze, combined with the last of the ebb tide, allowed Molly to slide almost silently down river from Lymington. Marginally more wind was found in The Solent but as Yarmouth approached the oars were brought into play to help Molly into the harbour. Lunch was enjoyed in the company of the crew of "Prelude"
The forecast stronger afternoon winds proved as fickle as those of the morning. A barely detectable Southerly was little help to us, so the oars again proved their worth, as did the crew wielding them! Thanks to all who made this another pleasant way to start the year. Thanks also to G&JT of "Prelude" for their pictures and local knowledge. Crews from several local and visiting clubs competed against the clock in this increasingly popular annual event. 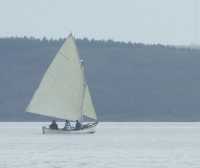 A strong following wind created choppy conditions on the course. 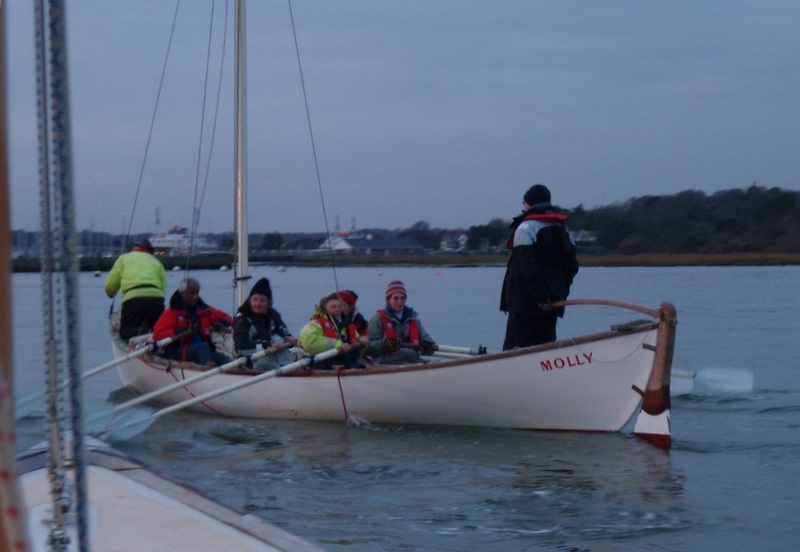 "Molly Crew 2", including some members co-opted on the day, came first in the "Fastest Whaler" category. Medals, and smiles all round. Good food, good company and notably good weather combined to make this an altogether pleasant way of spending a Sunday.